Somewhere inside this fat album, there’s a thin one trying to get out. Clocking in at over 75 minutes, The Phoenix Foundation haven’t so much over-indulged as gorged themselves silly over a prolonged period of time. The result is a blatant case of musical excess. The prime candidate being the closing track, ‘Friendly Society’, which weighs in at an astonishing 18 minutes minus a few crumbs and which leaves not a trace of melody in the memory. While this track would take up two seats on any plane, others commit the sin of synthesizer. The 80s may be back in fashion, but songs like ‘The Captain’ and ‘Evolution Did’ would have struggled to find their way onto one of Howard Jones’ lesser known albums. 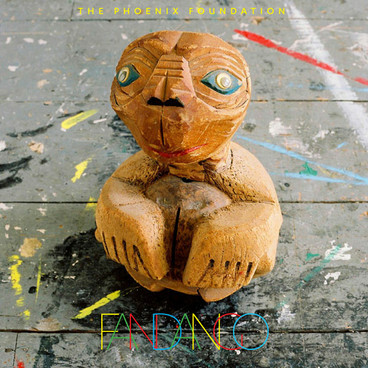 The Phoenix Foundation’s previous outing, Buffalo, was full of shimmery synths, but they were matched by guitar, percussion and gorgeous melodies. Here, there’s a temptation for the synths to overwhelm. There’s the feeling that the songs were constructed around the synth line. By contrast, on Buffalo there was the sense that the synths were used to complement songs that could stand alone by themselves. But Fandango isn’t a total disappointment. It’s an album that’s made for the digital age. Spotify it, then divest it of the excess baggage. What remains are six or seven pretty strong tracks, including the opener, ‘Black Mould’, as well as ‘Supernatural’, which really hits its stride in a Buffalo-like way. So, while Fandango is no classic, parts of it are eminently listenable. Overall, it would be a shame if in the future The Phoenix Foundation were to look back on their career only to regret having ordered from the dessert trolley quite so often. With a little self-discipline, there’s still time for them to slim down and get back on the scales without breaking them. Treetop Flyers are named after a Stephen Stills song. Maybe that’s all you need to know. They describe themselves as channelling the spirit of “pure country soul”. They have great harmonies, fine melodies and some sweet guitar solos. Stephen would be proud, if he wasn’t so much of a curmudgeon. But are Treetop Flyers more than just a tribute act who happen to write their own songs? Well, yes. Reid Morrison’s vocals are one reason why. They really do have a pure country soul sound to them. But what’s nice is that he doesn’t engage in Joe Cocker-style emoting. He keeps the quavering nicely in check, making the voice just another part of the song. The vocals aren’t allowed to dominate but they easily could. If they ever sign to a major label, they’ll become the centrepiece of the sound. But it’ll be a change for the worse, even if they end up shifting more units. The song craft is the other reason why Treetop Flyers are worth a detour. The songs sound like they’ve been worked on but they’re not overworked. There are nice hooks, good changes of pace, and plenty of guitar noodling. But there’s never a sense of anything being superfluous or showy-offy. The influences may be clear, but there’s no plagiarism. At the moment, what let’s them down are the lyrics. They’re are a mix of cliché and banality. They sound like they’re written by a mix of the worst Laurel Canyon stoner casualty and the purest boy scout. Treetop Flyers have identified a sound they like. They don’t just copy that sound. They build on it and produce some really nice songs. Oh, and by the way, they’re from West London. Side projects can be a wonderful thing. They can free up the artist. Allow collaboration. Generate more than the sum of their parts. 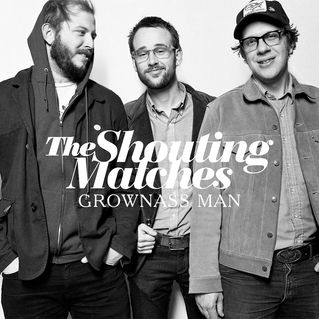 The Shouting Matches have that potential, bringing together Justin Vernon of Bon Iver, Phil Cook of Megafaun, and Brian Moen of Peter Wolf Crier. Indeed, the result is an album that sounds nothing like either Bon Iver, Megafaun, or Peter Wolf Crier. Instead, you’d be forgiven for thinking that The Rolling Stones were the main point of reference. On the opening track, ‘Avery Hill’, Justin Vernon seems only barely to stop himself from singing “Just around midnight”, so closely does the riff resemble ‘Brown Sugar’. But there are other influences too. ‘Seven Sisters’ has a Bob Welch-era Fleetwood Mac vibe going on. ‘Gallup, NM’ sounds like a track from The Allman Brothers Band during a residency at The Winterland in the early 1970s. The album also ends really nicely with the slowest number, ‘I Need A Change’. Good though these moments are, and ‘Gallup, NM’ is worth putting on repeat, this is no classic. The two blues harmonica-led tracks were probably a good idea in theory, but no so much in practice. ‘I’ll Be True’ has a melody so simple as to be simplistic. And ‘Mother, When?’ picks up the pace, but has little of substance to hang its hooks on. Grownass Man may be no classic, but it’s still worth a listen. And, remember, put ‘Gallup, NM’ on repeat. Kiss Each Other Clean, the previous Iron & Wine release, marked a new departure for Sam Beam. There was still the trademark clever wordplay over the lovely melodies, but the production was big. So big, it was almost exhausting, there was so much going on. And there was a lot of cussing. At times, it seemed like the bigness of the production was getting too much even for Sam himself. Despite, or perhaps because of all this, it was a great album. It was the sound of someone changing, learning, and evolving from a musician into a mature artist. Ghost on Ghost is an altogether different proposition. It’s a much simpler, gentler album. The production is still big, but the songs are not as challenging as the ones on its predecessor and they’re slightly less rewarding because of that. ‘The Desert Babbler’ is full of the oohs and aahs of 70s easy listening. ‘New Mexico’s No Breeze’ is the sound of a trip in a comfortable old Sedan with the windows down to let in the air. And gone is the cussing. In it’s place there’s ‘Joy’, which is heartfelt and confessional, but also simple and sugary sweet. Perhaps too sweet. “Deep inside the heart of this troubled man, there’s an itty-bitty boy tugging hard at your hand, Born bitter as a lemon but you must understand that you’ve been bringing me joy”. All of which is strange because the album begins with ‘Caught in the Briars’, which bobs and weaves in classic Iron & Wine fashion and even ends with a nod towards ‘Tomorrow Never Knows’. There’s also plenty of wonderful word play, ‘Grace For Saints and Ramblers’ being the best example. And then there’s ‘Lovers’ Revolution’, which constantly changes tempo, creating peaks and troughs of anxiety, but which ends on a reassuringly soothing note. Ghost on Ghost lacks the consistent tension that made Kiss Each Other Clean so special. It’s a good album. It’s Iron & Wine after all. But the mature Sam Beam has the capacity to provide slightly more thrills than can be found here. Kurt Vile – Wie lange noch? Warning all students. Listening to this album can seriously damage your grades. 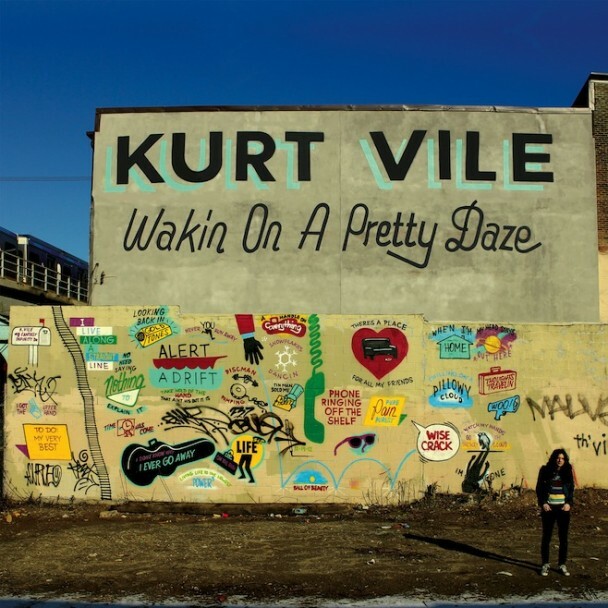 You don’t have to be stoned to listen to Kurt Vile’s new album. But it must help. Nearly 70 minutes of languid, slacker, stoner rock. “I will promise not to smoke too much”, he sings on ‘Too Hard’. Obviously, he’s being ironic. There’s only one sort of atmosphere that could have generated such a sweet set of tracks. Pretty much one-paced, the songs start, continue and, well, carry on until they end. There’s some variation. The guitars are a little heavier on ‘KV Crimes’. The percussion a little faster on ‘Was All Talk’. There’s even a change of tempo mid-song on ‘Pure Pain’. Typically, though, Kurt eases us through one track after another. The effect, though not the sound, is a little like a Sun Kil Moon album before Mark Kozelek discovered the Spanish guitar. The songs are long. They don’t build any tension. So, there’s no subsequent release. There are gaps between the tracks, but, really, it’s one long song. And a great song it is too. What are the lyrics about? Who knows? The vocals are way down in the mix. It’s like asking a question of your teenage son and, you know, he’s just way too tired to answer coherently. If you tried, you could probably figure out what Kurt’s trying to say, but it doesn’t really matter. Instead, the mood is everything. And throughout the mood is laid-back, relaxed. This is a wonderful collection of songs from an artist who seems to be completely in control of his sound. And you know what? The best thing about this album is that you don’t have to be stoned to enjoy it. Boy, can these guys harmonize? And, what’s more, there’s only one of them! 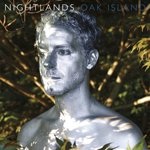 Nightlands is the side project of War on Drugs bassist, Dave Hartley. Fittingly, there are occasional hints of epic War on Drugs sound washes and their shimmery, watery guitars (the start of ‘Born To Love’ in particular), but mainly this is an album redolent of The Beach Boys at their melodic best. It’s a tough space to occupy. Such is the influence of the Wilson brothers and their cousins that a new twist on the now old sound is difficult to come by. But Nightlands manage it. They do what all good melodic albums should do. They change key at the right time. They add an extra layer of harmony just when it’s needed. They’re not pop, but there’s enough to get you humming. Yet what distinguishes Nightlands from pure imitators is the element of surprise. Even though each song is really tight, it’s impossible to predict what’s going to happen throughout the course of any one of them. And what can be said about any individual song can be said for the album as a whole. Just when you get used to the pace of the sound, it changes. ‘I Fell In Love With A Feeling’ speeds things up nicely and ‘Rolling Down The Hill’ is pure disco inferno. What could be improved? Well, sometimes the vocals have more echo than a Swiss yodeller. They sound great even now. But lessen the echo, put them higher in the mix and wouldn’t they sound better still? And the album ends not with a bang, but a whimper. Given what has gone before, ‘Looking For Rain’ slightly disappoints. But generally, this is a great album. Nightlands sound plural, but they’re a very singular proposition.